As a Special Offer for returning Entry Level Package Customers! If you have previously purchased an Entry Level Deluxe, Grand or Ultimate Package you have the option now of purchasing additional Resume at any time during the discount period at this special reduced price. We know, as a job seeker, candidates are applying for more than one position at any one time; or need to keep their materials current. That’s why we offer a special discount for producing revisions to your Resume so each will be tailored-made for each of the positions / focuses you are seeking or as a refresh to keep them as up-to-date as possible. As an entry-level or recent graduate, your employment prospects are wide open. 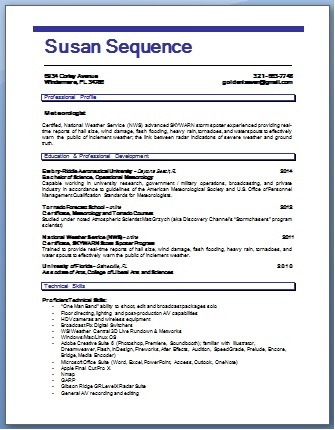 Our Professional Resume Writing Services are designed just for you. Since your skills and experience are more limited, a proper presentation of your qualifications is even more critical. We understand this and will work with you to produce a professional resume that reveals a positive image of yourself that can motivate an organization to schedule you for that important job interview. Our resumes are captivating in the way they capitalize on your core skill set, education and training, knowledge and understanding, key attributes and characteristics, and capabilities to create a compelling picture of you. As you may not have the work experience of others, we will draw from the experience you do have to highlight your strengths and abilities.